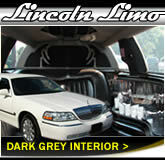 Limo Hire Cwmbran, Blackwood And Glamorgan. 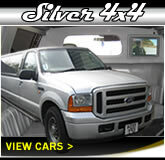 Stunning 16 Seater Hummers, 4x4s And Wedddng Cars For Special Occasions. Welcome to Cwmbran Limos .co.uk, showcasing the range of fabulous limousines, party buses and classic wedding cars for hire in Cwmbran, Blackwood, Pontypridd and Merthyr Tydfil from The Limo People. 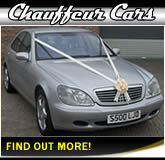 An established family-run business with more than twenty years' experience in the chauffeur industry, we are dedicated to providing luxury chauffeur-driven vehicles for a range of special occasions at competitive rates. 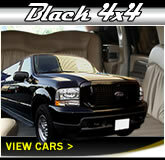 From prom nights and weddings to birthdays and airport transfers a chauffeur-driven limousine ride can provide an unforgettable way to travel on all kinds of special occasions. 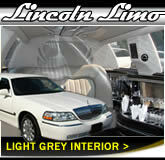 Traditional Lincoln Town Car style limousines with seating for upto 8 passengers - finished in smart white paintwork and luxury interior! 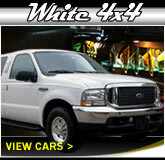 Hummer limo style SUVs such as our Lincoln and Excursion models - these huge American SUVs are licensed for between 10 and 16 passengers so make a good alternative to regular minibuses! 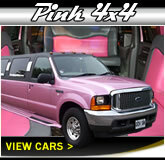 Pink limos in 'Hummer' style 4x4 model with amazing pink interior! Our 16 seater party coach limousine buses offer a luxury minibus experience for those looking for an alternative to our popular stretched limousines. 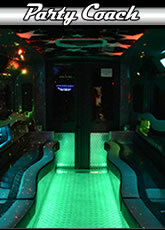 Wheelchair accessible and custom-fitted with a karaoke system, 1000 watt speakers, mirror ceilings and much more, view our party coach page for more details. Planning for a wedding can often be a stressful and worrying time, with a long list of vendors to book and invitations to post in the months before the 'big day'. 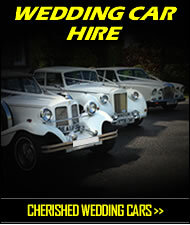 We aim to make the task of arranging the wedding day transport as easy as possible and our competitively priced wedding car packages are tailored to suit the individual requirements of your day. 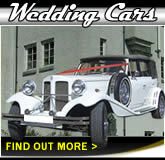 Please view our wedding car page to find out more about our fleet of classic and vintage wedding cars. Established for almost 20 years, make us your first choice for limousine hire in Gwent - a first class service awaits you whatever the occasion!